Under normal circumstances you have to perform very extensive research to find the best keywords and terms that are most suitable for your ad campaign. Afterwards, you will then need to spend money to learn which of the terms are more effective and convert more than others. It is then necessary to narrow the list down, followed by adjusting your matches and then finding new and more suitable terms that will be even more profitable. This process can become very extensive and take much more time than anticipated. Those that learn the ropes and stick with it are the ones who realize it benefits. However, there are some more simplified strategies that can be implemented and still yield great results. 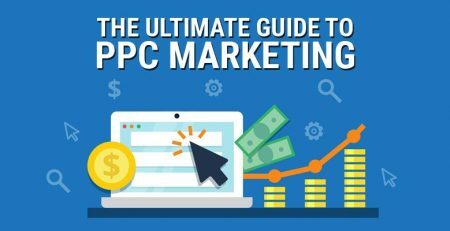 Below are some tactics that you can use to increase your PPC campaigns overall performance and see an increase in conversions and in your profitability. Sitelinks extensions make it possible for you to include extra links to your site which appears underneath the normal ad copy. An example of what that consist of is included below. For even more flexibility, you can also add more detailed text, which will allow more places to add extra links to the text as well. It’s important to keep in mind however, that however you set up your ad extensions, Google will have the final say in the way that it’s laid out. When adding Location extensions to your ads, you can increase your local ads when your address, phone number and even when a Google map is provided. This makes it easier for local customers to find you and even get directions to your facility. You can also add a feature that lets users know when your facility is opened or closed in real time. Call extensions is just another way for your ad to capture more attention and get additional calls. In fact, according to Google, the click through rates has increased between 6% to 8% as a result of adding call extensions to Adwords. Review extension allows advertisements to include a third-party review link right in the ad. However, this only works when the reviews come from a reputable third-party website that is also approved by Google. Google does not allow third-party reviews to come directly from your own site to increase its validation of your reviews. It is basically another way for you to add more relevant information about your product or service by using short phrases. If you are ready to increase your PPC results, ad extensions may be just what you need. Just invest the adequate amount of time needed to learn more about each of the areas indicated above.